Want to start a good pub debate? Try discussing what's in front of you. 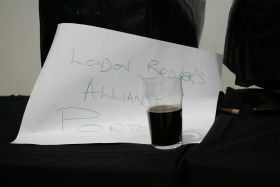 If you’re quaffing a pint of Porter, you’re imbibing fairly contentious stuff: there are not only debates as to its origin, but also its composition and even its name. or visit pubs such as the Bree Louise while stocks last.